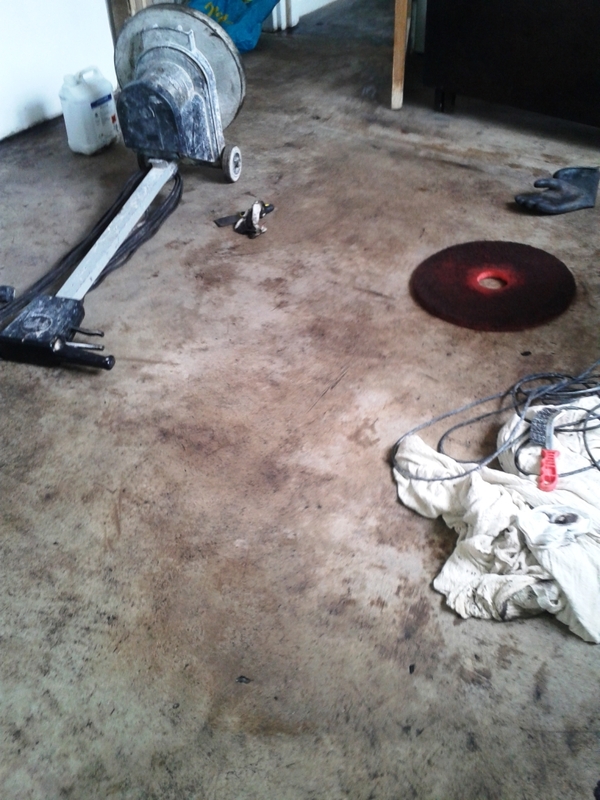 This Concrete floor at a house in the market town of Bridport had been coated in bitumen which the owner wanted removed. 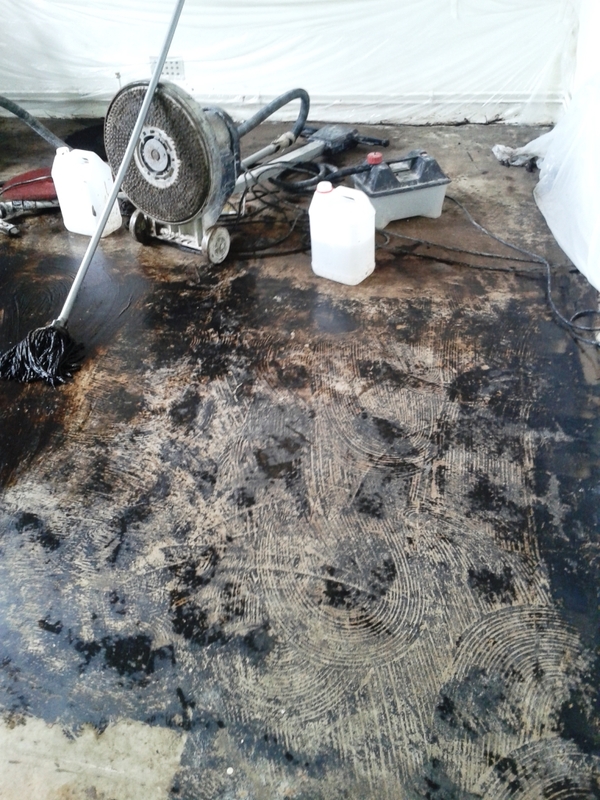 The property had only recently changed hands and the bitumen had been used as an adhesive to hold down the previous flooring which the new owner had removed during renovation. Removing the Bitumen however was a different matter and hence we got the call. Tile Doctor has a product for most things in its range and I’m happy to say I was able to clean up the floor using Tile Doctor Remove and Go which was left to soak into the bitumen to soften up before attacking it with a black pad fitted to a Numatic buffing machine which was weighted down to improve traction. Some areas were stubborn to remove as you can imagine so to soften it further I used an Earlex Steamer and finally a Tile Doctor Diamond encrusted burnishing pad to cut into the concrete very slightly and remove most of the bitumen that had sunk below the surface. The results were as good as they could be and the customer was very pleased as she said it made the whole room look much lighter.